Whether you work from home, in a communal office space, or a private corporate office, your workspace is the only home you’ll know during work hours. To make those hours more enjoyable, decorate your desk with things you love and personal items that make you happy. In addition to your personal flare, be sure your workspace is equipped with good ambient lighting and a desk lamp, baskets for office supplies, and most importantly, a comfortable desk chair. 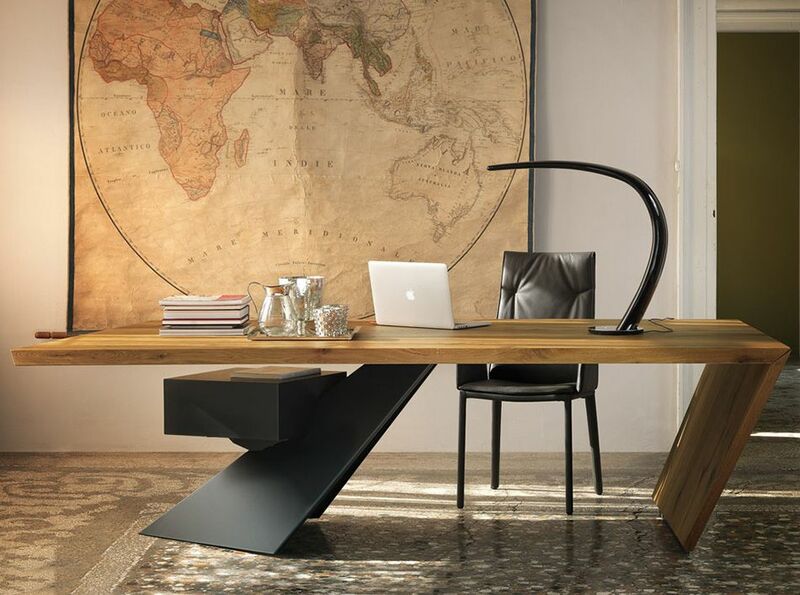 Did you know that the average desk job could have you sitting up to 1920 hours per year? That’s equal to 2 ½ months of sitting on your derriere each and every year. You might as well be comfortable! Good morning ladies! Start your day off right with a bright and cheery desk stocked with your laptop, bronze desk lamp, wicker baskets, and fresh cut flowers. What female wouldn’t be happy sitting here all day? 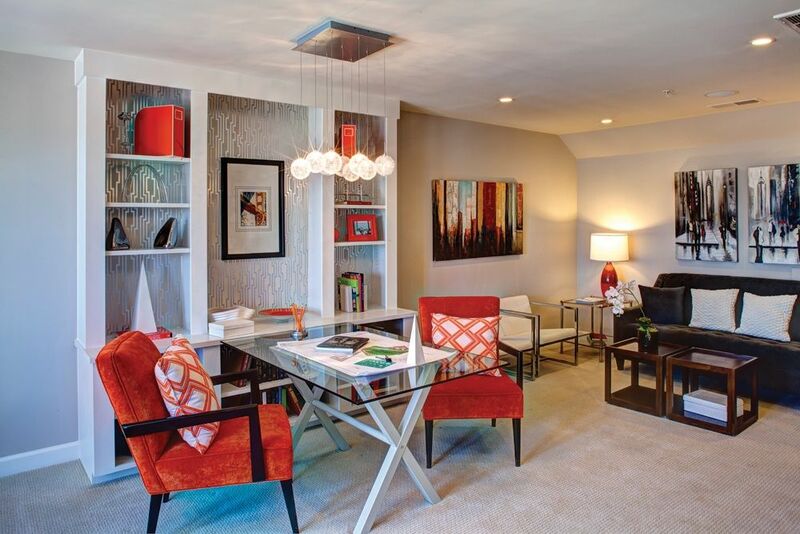 If you work from home, you’ll need a space to meet with colleagues and clients alike. In this case, you’ll want the entire room to look professional, yet cozy and conducive to work. When your desk faces a wall, use the wall as part of your desk. Since you cannot extend your flat work surface, extend your work surface up the wall. 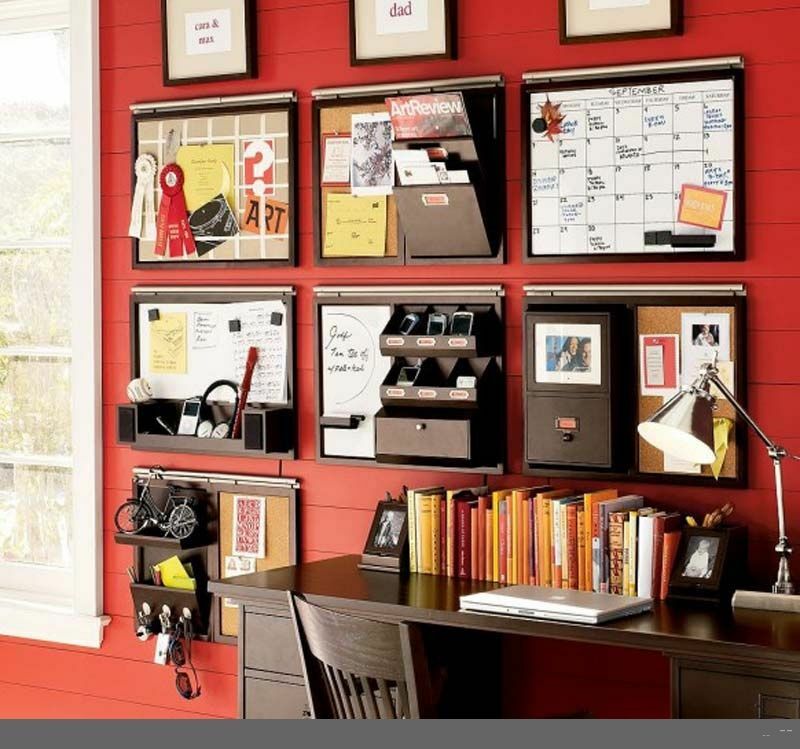 Store everything you need within easy reach with these office wall systems by Pottery Barn – Gabrielle Office Set System. If you read at length in your profession, you need to be able to move away from the desk to put your feet up periodically. Create a reading nook in your office space, complete with floor lamp, ottoman and side table. In a communal workspace, comfort is key. Replace the rolling desk chairs with plush arm chairs and watch the creativity flow from a comfortable office environment such as this.